202 pages | 19 B/W Illus. The traditional idea of leadership as being about the solo, heroic leader has now run its course. A new way of thinking about leadership is now needed to address major challenges such as achieving greater social responsibility, enhancing leadership capacity and recognising the importance of context as affecting how leadership occurs. Relational leadership offers a new perspective of leadership that addresses these challenges. At its core, relational leadership recognises leadership as centred in the relationships that form between both formal and informal leaders and those that follow them, far more so than the personality or behaviours of individual leaders. This book introduces readers to the most up-to-date research in this area and the differing theoretical perspectives that can help us better understand leadership as a relational phenomenon. Important characteristics of effective leadership relationships such as trust, respect and mutuality are discussed, focusing on how they develop and how they bring about leadership effects. Specific forms of relational leadership such as shared leadership, responsible leadership, global team leadership and complexity leadership are addressed in subsequent chapters. 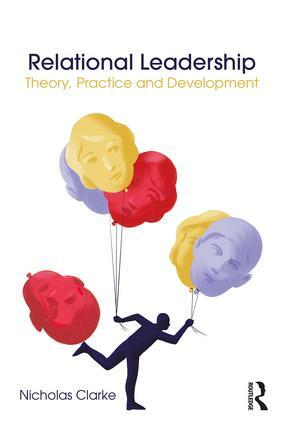 The book is the first to examine recent ideas about how these new forms of relational leadership are put into practice as well as techniques, tools and strategies available to organisations to help do so. The inclusion of three detailed case studies is specifically designed to help readers understand many of the key concepts covered in the book, with key learning points emphasised. The book offers an excellent summary of the state-of-the-art topics in this new and exciting field of relational leadership. Nicholas Clarke is Professor of Organisational Behaviour at EADA Business School, Spain. He teaches and researches in the fields of leadership, learning and development.